As we did last year, we are excited to share with you the top fundraising best practices for 2019. Use these tips and tactics to win, keep, and lift even more donors and move them from a transactional to a transformational commitment to your mission. In 2018, Instagram hit 1 billion monthly active users. With significant growth in every age group — including 50 – 64 and 65+ — Instagram will become a more popular platform for nonprofits in 2019. Fundraisers should consider using Instagram to give donors and volunteers a way to see the impact of their gifts every day. Approach shiny objects with caution — especially for your acquisition program. Just because something is the “hot new thing” doesn’t mean it’s adding value. Our responsibility as fundraisers should be to be good stewards of the donors’ dollars. Therefore, it’s important to vet strategies and tactics against that overarching responsibility. Measure the risk of new acquisition media channels to your overall program. If the anticipated break-even for that new channel is beyond 24 months at roll-out, ask yourself if there are other opportunities in your current media channels that you can expand first. Just because big organizations are doing it doesn’t mean it’s right for you — or even right for them. Pre-plan for Emergency or Disaster Efforts. We know that the first days — and even the first hours — after a disaster strikes are the most critical for communicating with your donors and clients. You need a fast-action plan that can be executed quickly in response to natural and man-made events to let your community know how you are responding. Develop a disaster fundraising plan with prepared creative templates, integrated strategy, tactical execution by channel, audience selects, and budgets. Determine what types of emergencies or disasters need a response, what your reaction time should be, who will make decisions, and who will lead operations. Data breaches will continue to happen. And as they do, expect tighter laws regarding consumer rights of personal data, such as the California Consumer Privacy Act passed this summer. While you may applaud your own data being more stringently protected, remember that the direct-response industry has been built on the ability to use consumer data to build the donor files of worthy nonprofits. Since the federal government has neglected to weigh in on this issue, individual states are filling the gap, which could create a patchwork of privacy regulations and make the current state-level charity registration laws look like child’s play. At minimum, these changes mean increased cost as charities and the companies that serve them will be forced to enact changes in data collection and storage policies. We urge all nonprofits to support industry associations that lobby to provide protection for consumer data, but in a manner that does not hinder the growth and impact of charities. Set aside time to interview program staff to learn more about your organization’s impacts. A deeper knowledge of your charity’s impact can align your donor communication, including fundraising, with the direct impact of their giving to the actual needs on the ground. Comparing your program notes against campaign reports and donor survey results will help you align your programs to different audiences and fundraising methods. Your time spent learning about and supporting your programs will also bring a greater authenticity and passion to your interactions with donors. Native social media advertising — specifically placing ads in a format that is similar to the experience donors get when they browse a social site — will continue to grow. Unlike placing banner ads on related web pages, you should create ads that resemble normal social media posts. They will appear in the social feed of your followers, just like the rest of your posts. Native social media ads are more engaging than traditional advertising, cost less, produce better results, and are not intrusive. Branding teams for nonprofits require fundraisers to use marketing photography that they provide. These shots of your subjects (i.e., those the charity serves, like patients or people affected by hunger) often don’t show the emotional needs associated with the organization’s mission and are therefore weak when it comes to fundraising. Ask your marketing folks to take pictures with the people looking at the camera with pensive, emotive expressions. They can do this at the same time they shoot the brand photography. This will be a boon to both branding and fundraising objectives. Understanding donor intent is critical to drive the appropriate donor journey. Surveys are a great tool to open that two-way communication with your donors. A multichannel approach that uses mail, digital, and live phone calls is most effective. Asking a donor to raise their hand will help shape your next steps. Of course, once a donor lets you know their intent, it is critical to have the pieces in place to follow up quickly using this information. Invite donors to visit the shelter, pantry, pet shelter, hospital, etc., and let them SEE firsthand how their gifts have changed the lives of the clients they serve. If you can’t bring them to see how their gifts have made an impact, then include those who have been helped in fundraising events. Hearing how someone’s life was changed (told from first-person point of view) is compelling and authentic to a donor. Make a plan and stick to it. Like any other noble or necessary pursuit, large success usually comes when it is planned for, through the thoughtful execution of a lot of little steps. Plan, plot, and pursue — and you’ll get there. Fuel empathy by being authentic. No matter the strategy, the channel, the offer, or the tactic, do an authenticity check on the messages and imagery you send your donors. Is it heartfelt? Does it persuade hearts and minds? Donors make decisions based on emotion as much as reason. Being authentic means sharing messages and stories that motivate, not manipulate. Coordinate communications within your organization across departments, partners, and agencies. In order for all parties to do their best marketing and fundraising work, it is invaluable for them to understand everyone’s roles, responsibilities, vision, strategies, and goals. Bring them all together to share their experiences and work together for the betterment of the program and organization. Stay up to date on trends in the digital world and production world. As examples, consider Google’s changes affecting Google Grants this past year, as well as the increasing costs of paper and postage. Be aware of what’s happening in our society regarding politics and public opinion so you can capitalize on engaging with donors over issues and concerns. Look beyond direct attribution of your direct-response fundraising. Establish rules for how you will measure overall impact of your campaigns to account for giving that crosses channel, coding, and category boundaries. When designing for fundraising campaigns, don’t be afraid of white space. Sometimes a piece needs room to breathe. Don’t be afraid to air things out a bit with extra line spacing in your story and some space between images and copy. This will give your donor a chance to comfortably read the piece, absorbing the most impactful parts without being overwhelmed with too many pictures or too much text on the page. Always note donor conversations in your donor database, especially related to their preferences or interests. Affinity marketing is exploding, and the information you collect today could be beneficial to fundraising efforts later. Not all databases have places to record this information, and it can be a challenge. 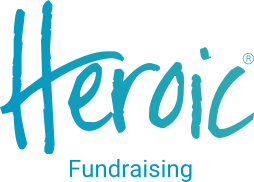 But making a brief note about a conversation can help fundraisers who come after you connect with the donor. As an example, you note that the donor is working on her horse farm this weekend. This may trigger a development officer to connect with the donor about a love for horses and help her eventually secure a major gift. There is no such thing as over-recording donor details: Today’s random conversation could be the key to tomorrow’s funding! Don’t forget planned giving. It is frequently one of the first line items cut from budgets as there is no direct ROI that is generated that year. You need to communicate to your donors about how including your charity in their plans can help your organization for years to come. Rest assured that other charities are talking to your donors about estate planning. Paul Rand — an influential American Art Director, best known for his page design and logos for giants like IBM, UPS, Westinghouse, and ABC — once said, “Design can be art. Design can be aesthetics. Design is so simple, that’s why it is so complicated.” Simplicity in design is key, but simplicity is a difficult goal to reach. Here are some quick tips to help your fundraising design be strategically simple: Make each component meaningful, invite donor participation, provide contrast between components, make your call-to-action easy to remember, evoke your donors’ emotions, and focus on readability. Frequently audit your online donation pages. Digital fundraising best practices and donor behaviors are continuously evolving, and so should your online giving forms. It is particularly important to refresh your general donation page, which is most likely your primary source of online revenue. Embracing a perpetual strategy of consistently testing over time can result in improvements to donor conversion rates and, ultimately, revenue. Listening is powerful. It makes people feel valued, appreciated, and understood, which is the basis of great relationship building. Make a goal in 2019 to listen more (and better!) to your donors, board members, coworkers, family, and friends! Customer relationship management (CRM) software is widely used in support of nonprofit marketing efforts, as nonprofits cannot truly be competitive without a CRM solution in place. Traditional CRMs managed contact data and basic transactional data. An all-in-one CRM is a system that includes all the traditional CRM components, but also comes with built-in marketing automation, moves management processes, and donor preference centers. In some cases, all-in-one CRMs include event, email marketing, and content management functions all on the same platform. This allows development leadership to manage nearly every operational function from one system and store all the resulting data in the same database. The journey towards true integrated fundraising will pass through the doorway of all-in-one CRMs. 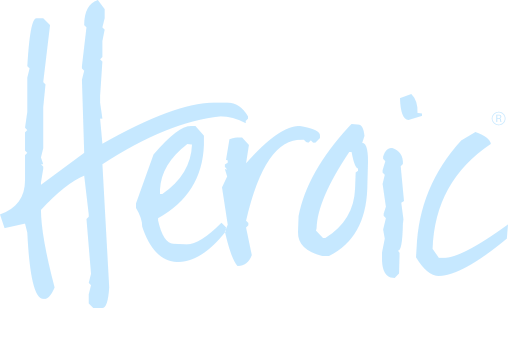 Bonus tip: Subscribe to our Heroic Fundraising blog. You’ll receive a monthly email with the newest fundraising trends to adjust your campaigns for maximum success throughout the entire year!